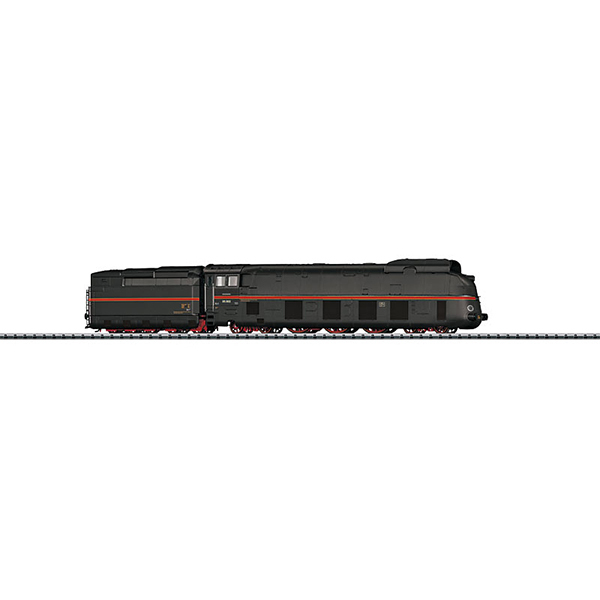 This is the Trix 22189 German State Railroad Company (DRG) class 05 express locomotive. Version in black with full streamlined fairing. This model can be found in an AC version in the Marklin H0 assortment under item no. 37051.